Manchester City have four players in the Brazil squad for November friendlies against Japan in Lille and England at Wembley Stadium in November. Ederson, Danilo, Fernandinho and Gabriel Jesus all feature in the 25 man squad. Liverpool’s Philippe Coutinho and Roberto Firmino also feature, as does Chelsea’s Willian. 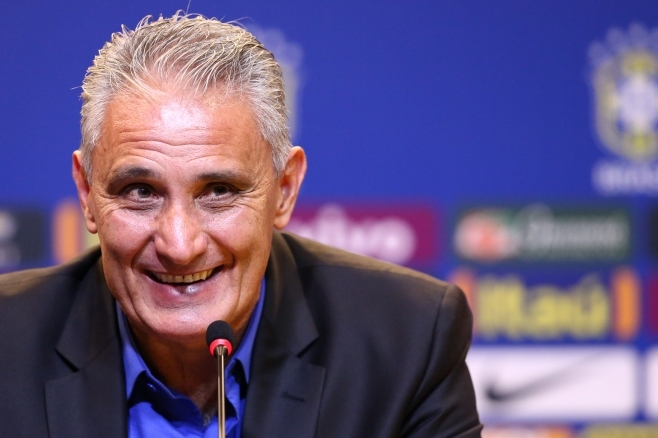 The surprise inclusion is Juventus’ Douglas Costa, who has not featured under Tite and has had an indifferent start to life in Serie A.
Flamengo’s Diego and Sport’s Diego Souza feature, as does Shakhtar Donetsk schemer Taíson, who has been in and out of the squad over the last year. Cassio retains the 3rd goalkeeper spot, while Monaco’s Jemerson makes the cut. Filipe Luis is still injured, so Juventus’ Alex Sandro will get another chance to impress. Full-backs: Dani Alves (PSG), Danilo (Manchester City), Marcelo (Real Madrid), Alex Sandro (Juventus). Central midfielders: Casemiro (Real Madrid), Fernandinho (Manchester City), Paulinho (Barcelona), Renato Augusto (Beijing Guoan). Attacking midfielders: Diego (Flamengo), Giuliano (Zenit), Philippe Coutinho (Liverpool), Willian (Chelsea), Douglas Costa (Juventus). Forwards: Diego Souza (Sport), Roberto Firmino (Liverpool), Taíson (Shakhtar Donetsk), Neymar (PSG), Gabriel Jesus (Manchester City).